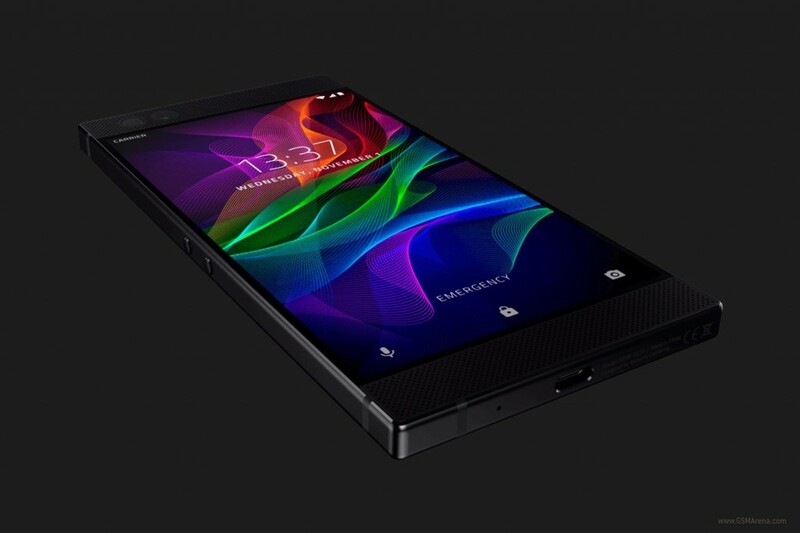 Razer is officially entering the smartphone space. 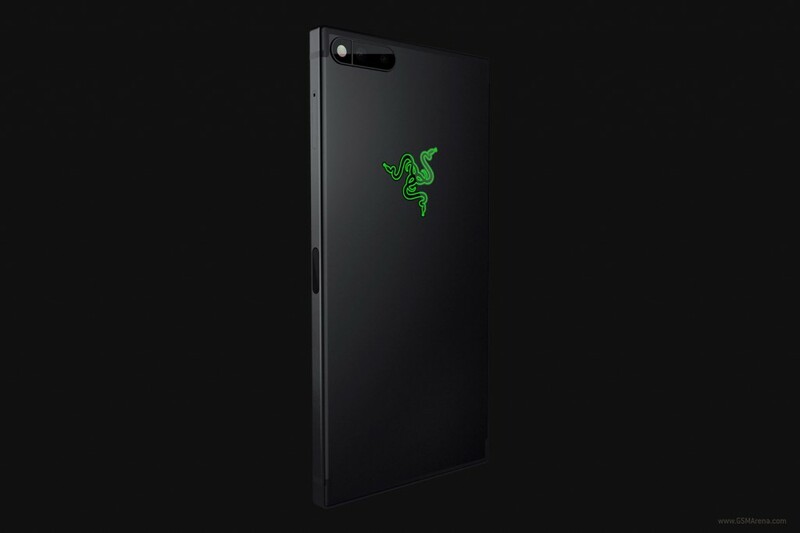 The gaming-focused company acquired Nextbit back in January, and today it's unveiled the first device to emerge out of that acquisition: the Razer Phone. A simple name hides massive specs, in this case. Design-wise, the Nextbit heritage is clear, what with all the sharp corners. The color scheme is much more business-friendly, however. 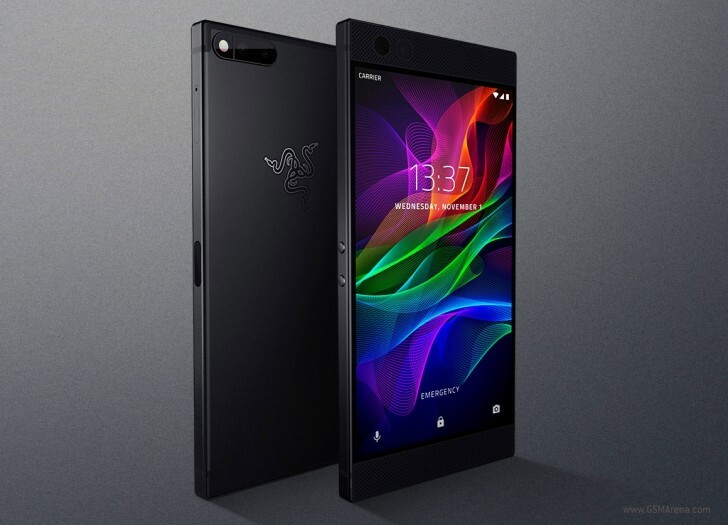 The Razer Phone is made out an all-aluminum CNC chassis, has a 24-bit DAC, and it boasts two front-facing stereo speakers with Dolby Atmos sound, each with its own amp - and they're certified by THX (a first for a phone). 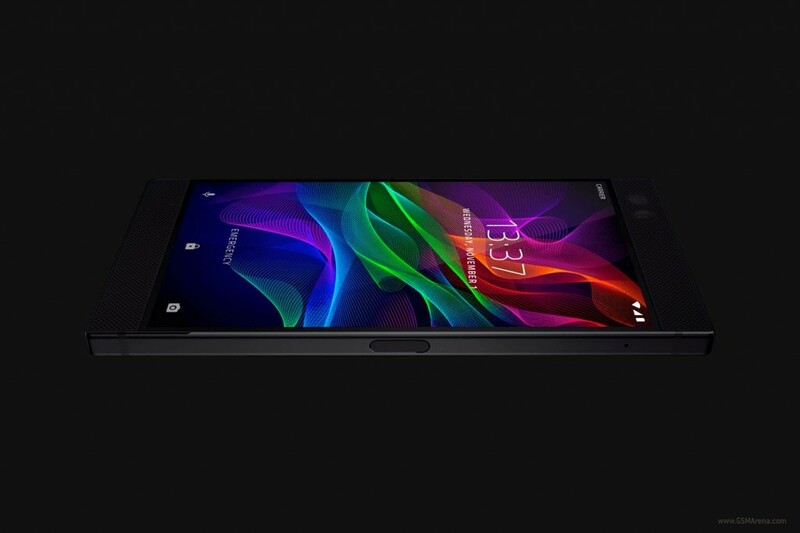 Razer claims it's the loudest handset ever. On the flip side, there's no 3.5mm headset jack, although you do get a USB-C to headphone adapter in the box. The screen is a 5.7" QHD IGZO LCD with wide color gamut and 120Hz refresh rate, twice as much as you normally get from any mobile device other than Apple's iPad Pro line. It's packing an adaptive refresh technology that syncs the GPU and the display. This is called UltraMotion and was developed in cooperation with Qualcomm to ensure no tearing or lag even at high frame rates. The best thing about it is that battery life apparently isn't affected. Razer is using the Snapdragon 835 chipset like everyone else launching high-end Android smartphones this year, but it's paired it with a whopping 8GB of RAM, and that's still not something you see every day. The dual rear camera setup consists of a 12 MP f/1.75 main shooter and a 13 MP f/2.6 2x fixed zoom lens, along with a dual-tone LED flash. On the front you get an 8 MP f/2.0 snapper for selfies. The fingerprint sensor is in the power key on the side, and the Razer Phone runs Android 7.1.1 Nougat (with an update to Oreo coming in Q1 next year). It ships with Nova Launcher Prime Razer Edition. 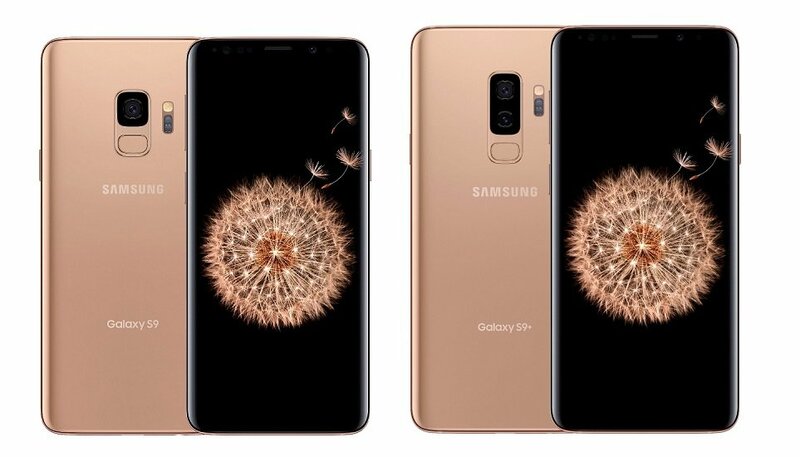 There's 64GB of expandable storage and keeping the lights on is a mammoth 4,000 mAh battery, on par with what we've seen inside the Huawei Mate 10 and Mate 10 Pro - and much beefier than usual for a top of the line handset. Razer says you can watch movies for 12.5 hours on its phone, listen to music for 63.5 hours, and play Hearthstone for 7 hours straight. With support for Qualcomm QuickCharge 4.0+, the battery charges from 0 to 85% in just one hour. 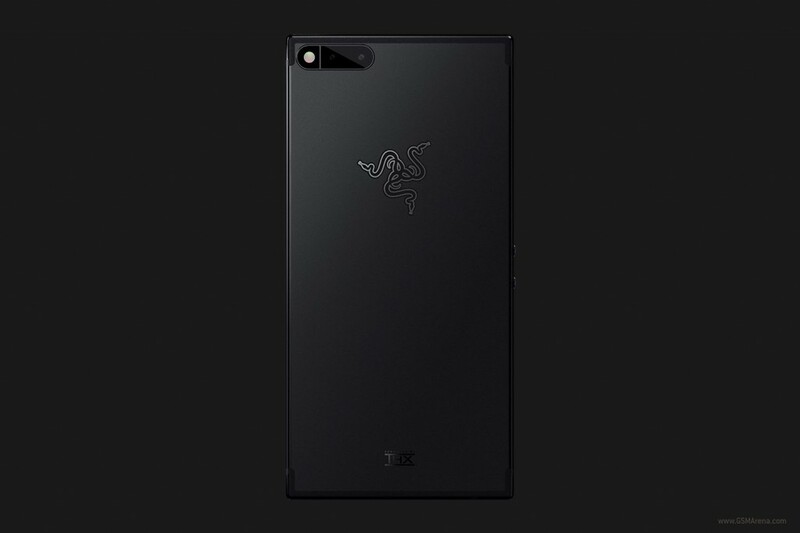 The Razer Phone measures 158.5 x 77.7 x 8 mm, and weighs 197g. It will become available on November 17 through the company's online store for $699 unlocked. Pre-orders start on Friday. In the US and Canada, you will also find it in Microsoft stores. The handset will be offered by Three in the UK and other markets. A special limited edition with a green logo on the back will be available too.